Calls, messages, and internet are becoming part of our daily routine. It is impossible to spend a day without using any of these services. People are moving from desktop to smartphones. They prefer mobile phones even for using the internet. Network providers have made it easy to use all services without any interruption and at a reasonable cost. Not only this, telecom companies also introduced different packages to facilitate their users. But when it comes to a bundle with maximum benefits and affordable price, Jazz is the name that comes to our mind. Jazz always treat its customers well and come up with incredible offers. Like always Jazz once again introduced an amazing offer for its prepaid customers. 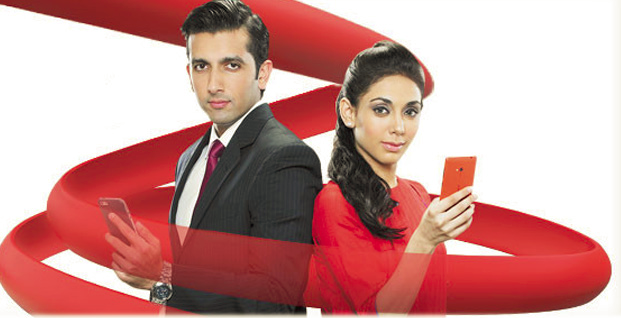 Haftawaar offer come with incentives of unlimited minutes, SMS and data usage for whole 7 days and at low cost. Here is the essential detail of the Jazz Haftawaar offer. Get the stress free week with Jazz Haftawaar offer. Get unlimited calling minutes, free SMS and data Mbs for a whole week at just Rs 75 including tax. Call setup charges will be included and all charges are inclusive of taxes. Make calls to any Jazz and Warid number for seven days with 500 on-net minutes. Send unlimited SMS on any network with 700 messages. Surf the web without any tension with 700 data Mbs (only for 3G users). You can easily subscribe the Haftawaar offer by dialing *407# and can enjoy unlimited minutes, SMS and Mbs. Multiple subscriptions are not allowed on his offer. *407*2#is the code to check the status of the offer and *407*3# is to get any info about the offer. The Haftawaar offer will expire at midnight of the seventh day or you can also unsubscribe it before expiration. Just dial *407*4# from your phone and wait for the confirmation message regarding successful deactivation. The Haftawaar offer will be valid for exactly seven days of the calendar. Offer is non-recursive; to avail the incentives of Haftawaar offer again you have to re-subscribe the offer. Re-subscription is only allowed once the bundle is expired. On expiration of the offer, you will be charged at the base rate. The offer will expire on the midnight of the 7th day starting from the subscription day. Only prepaid customers of Jazz are allowed to activate the offer. No time restriction or limitation is included in the offer; you can use the minutes, SMS and data Mbs at any time of day. Data Mbs will be effective for 3G internet users only. You cannot subscribe the bundle multiple times; you have to wait until the expiration of the offer. Rs 1 per Mb will apply on over usages of mobile data. You will be charged according to base rate if you are not subscribed to any bundle. 5% withholding tax will apply to all services or usages. On recharge and bill FED, Service charges and the operational fee will apply on the regional basis. Like other Jazz offers, this one is also for a limited time. 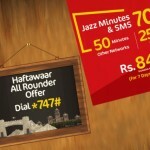 Jazz Haftawaar is another amazing yet affordable offer by Jazz. With his weekly bundle, you can make unlimited calls, send endless messages and surf the web with free Mbs for whole seven days at a low price. Don’t think much and subscribe it now as you will not find an incredible weekly offer like it on other networks.